The Ticket Office is located on the northeast corner of Fiserv Forum, closest to the intersection of 4th St and Juneau Ave.
Sunday: Closed, unless there is an event. For weekend events, the Ticket Office is open at least three hours prior to event start time and one hour into the event. Please note that there may be a few exceptions to the hours of operation. If Fiserv Forum has a special event that goes on-sale over the weekend or earlier than 10:00 AM during the week, the Ticket Office will open at the start of the on-sale and remain open until 12:00 PM on the weekend and 3:00 PM during the week. Will Call tickets can be picked up at the Ticket Office in the northeast corner of the Arena. PLEASE NOTE: In order to pick up your tickets, you must be present with a valid photo ID. Pick-up restrictions may apply and can vary by event. Please contact the Ticket Office at (414) 227-0511 to confirm your tickets are available for pickup. Patrons visiting the Ticket Office may park in the metered spaces directly north of Juneau Ave. There is also nearby parking available at the 5th Street Parking Structure on McKinley Ave, with rates set for event and non-event hours. For more information about parking options, please visit our Directions & Parking page. What type of ID is accepted at the ticket office? The Ticket Office accepts valid government-issued photo IDs. The Ticket Office accepts Visa, Mastercard, American Express, and Discover card, as well as cash. For any credit card payment, the cardholder must be present with valid government-issued photo ID at time of purchase. Personal checks and money orders will not be accepted. Tickets will not be available to purchase in person at the Fiserv Forum Ticket Office until 3 hours after the stated Public Onsale time, which will be at 1:00PM CST. The Fiserv Forum Ticket Office holds a lottery for most events the day tickets go on sale to the public at 12:00PM CST. The lottery process ensures all guests who have arrived at least one hour prior to the on-sale have an equal opportunity to purchase tickets. All tickets for Fiserv Forum events, including those for guests with disabilities, may be purchased online at Ticketmaster.com, over the phone by calling Ticketmaster at 800-877-7575, or in person at the Fiserv Forum Ticket Office. Accessible tickets may also be purchased by calling the Fiserv Forum Ticket Office at 414-227-0511. Accessible seating is available on all seating levels for all events, subject to ticket availability. Please identify your specific seating need at the time of purchase, so we can accurately fulfill your request. Fiserv Forum provides event interpretation services for guests with hearing disabilities. Requests for an interpreter should be made as far in advance of the event as possible, but no later than two (2) weeks prior to the scheduled event. For all Milwaukee Bucks and Marquette Golden Eagles games, children under 2 years of age are not required to have their own ticket if they are sitting on the lap of a ticketed adult. Ticketing requirements for concerts and special events may vary. Please contact the Ticket Office at (414) 227-0511 for more information about the ticket age requirement for a specific event. Military discounts are available for some events. 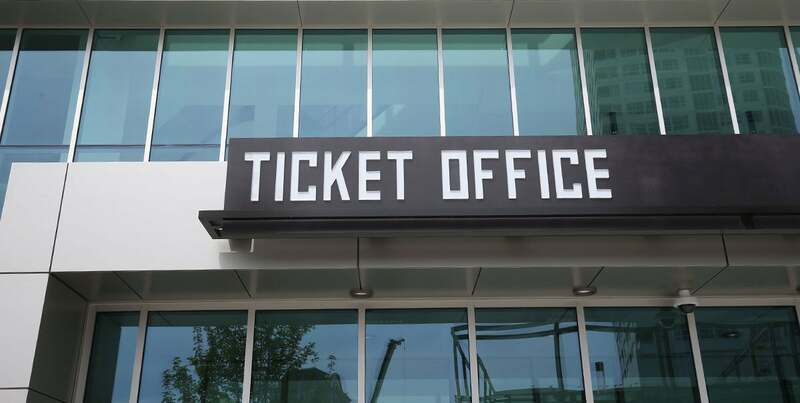 When available, they typically must be purchased in person from the Ticket Office directly. Please contact the Ticket Office at (414) 227-0511 for more information about specific events. Verified event tickets may be purchased directly via Milwaukee Bucks Sales Office, the Marquette Golden Eagles Ticket Office, and the Fiserv Forum Ticket Office. The only authorized sources for online ticket sales are Bucks.com or GoMarquette.com for team events, and Ticketmaster.com. Any other website, secondary ticket agency, or ticket broker is not a verified ticketing agent. Tickets purchased from an unauthorized agent may be counterfeit, stolen, or otherwise void and may not be valid for admission to the event. Fiserv Forum is unable to honor, replace or refund invalid tickets. Invalid tickets will be confiscated and a report filed. Fiserv Forum strictly prohibits ticket scalping and the general resale of tickets.